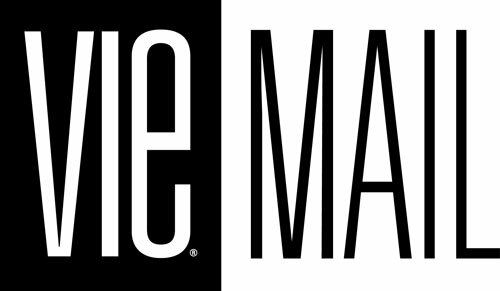 Two of our favorite things combine! 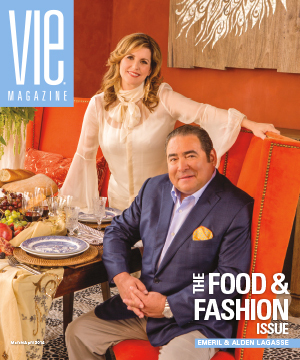 We’ve always found that no matter what may be happening in the world, there are two things that will always be loved: fashion and food! 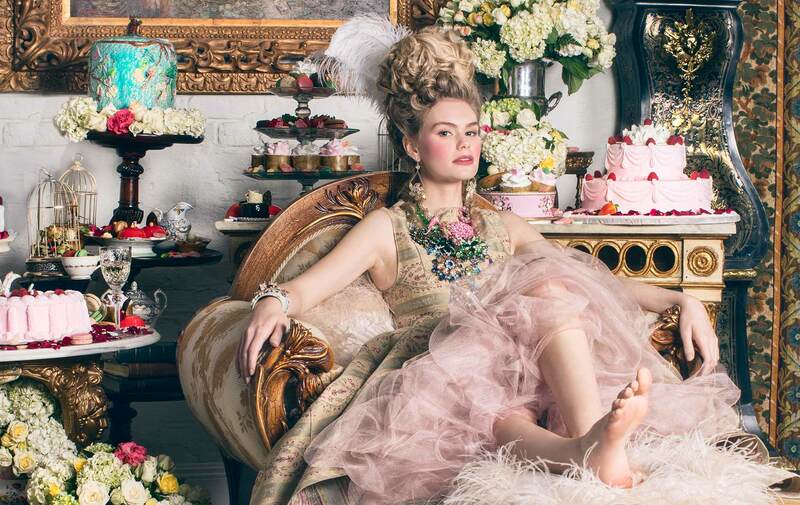 From the decadence of Marie Antoinette’s wardrobe to the richness of a perfectly decorated cake, the details creators belabor over can become works of art that stand the test of time. 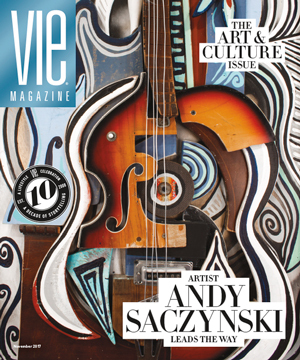 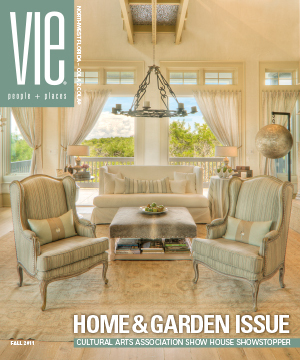 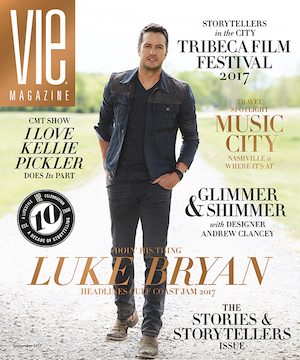 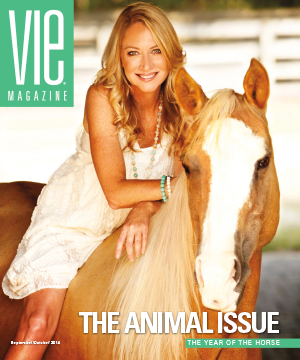 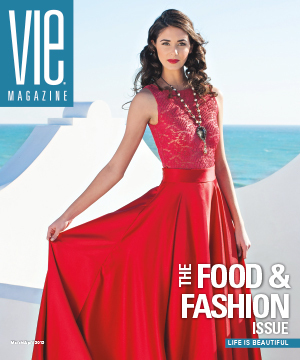 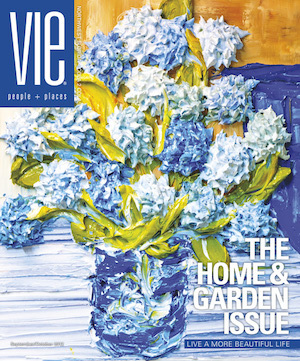 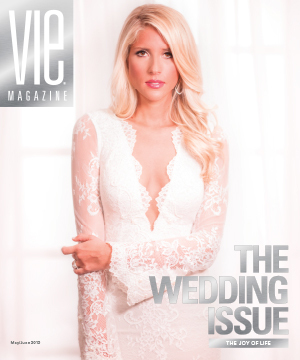 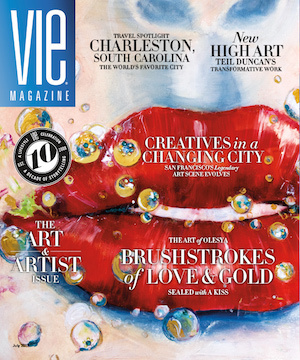 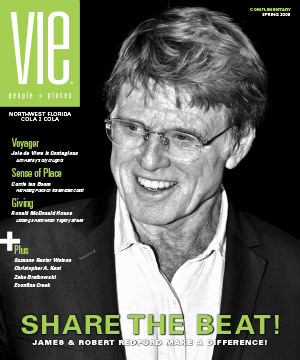 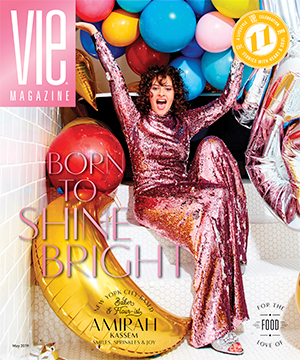 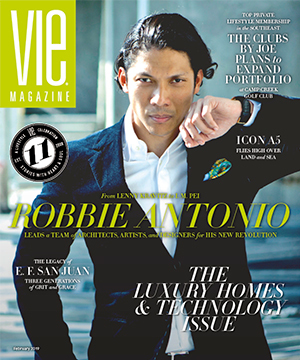 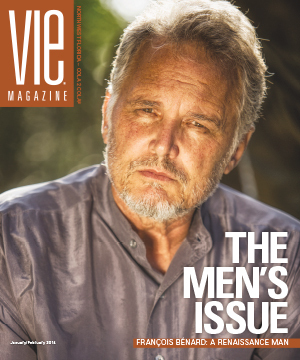 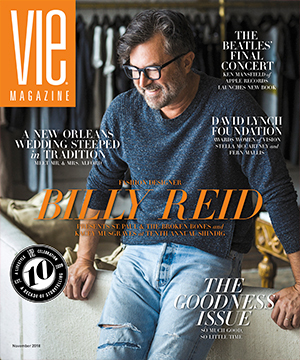 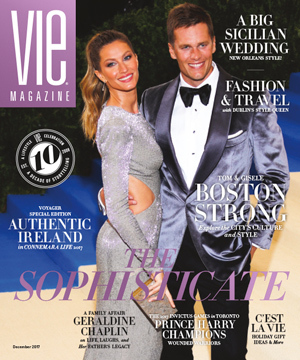 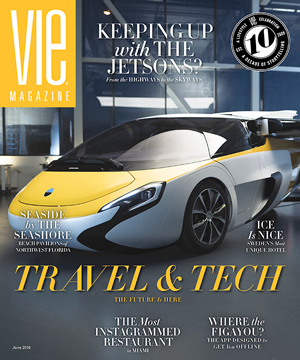 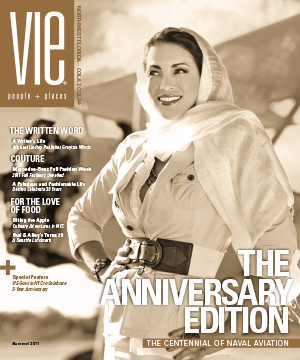 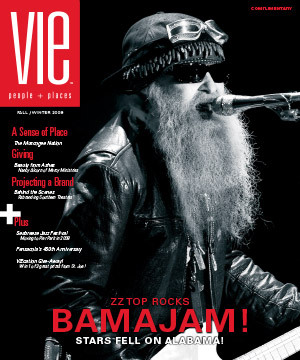 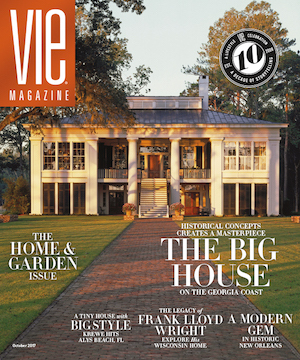 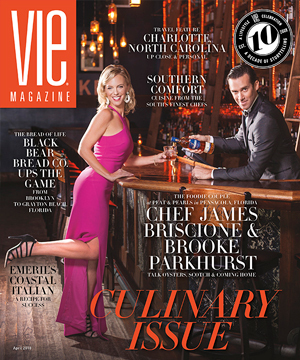 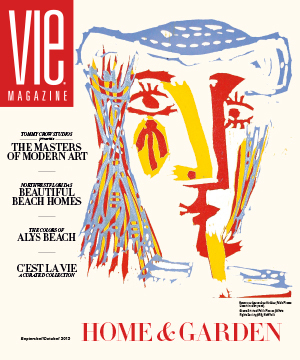 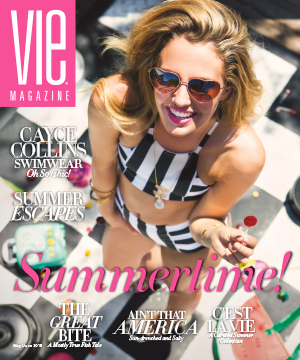 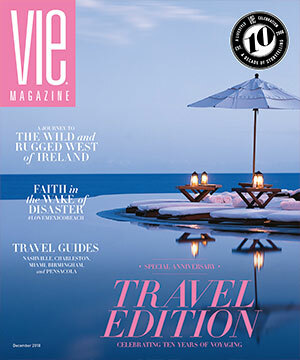 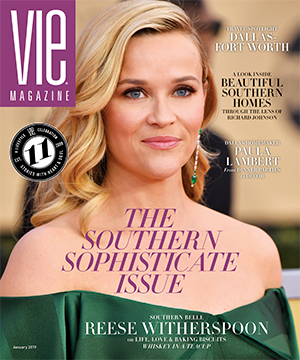 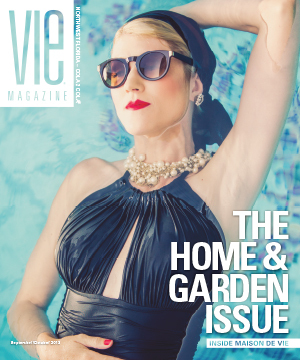 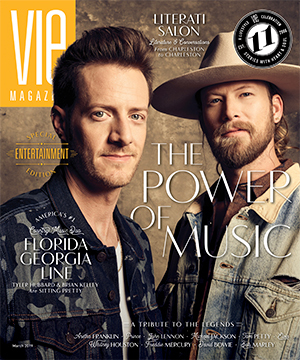 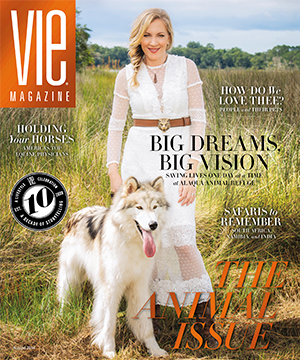 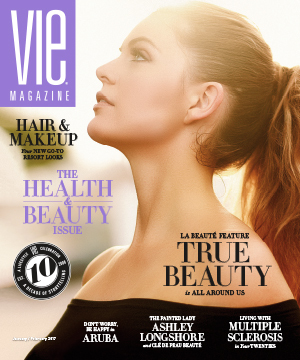 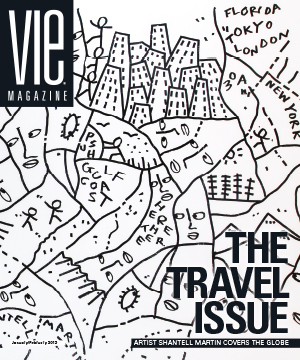 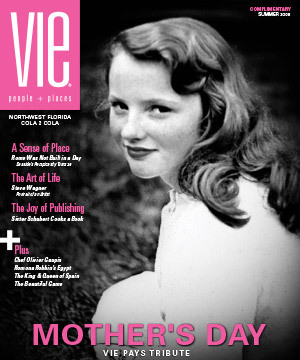 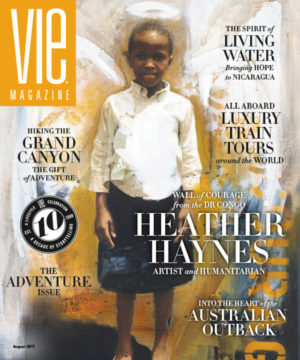 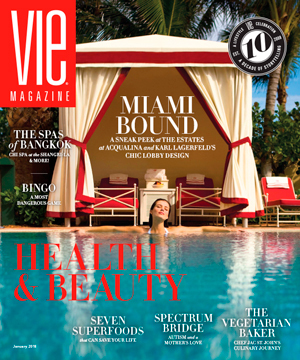 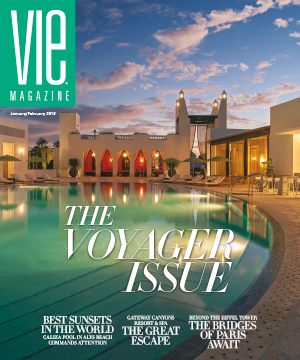 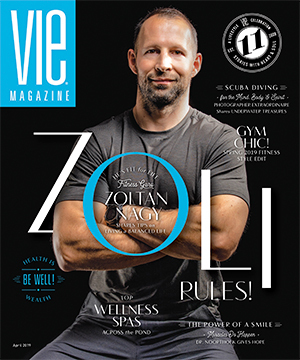 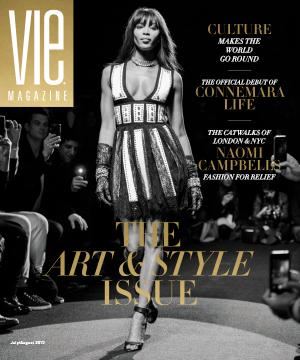 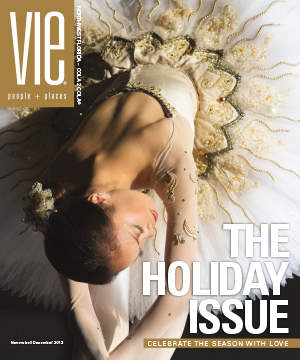 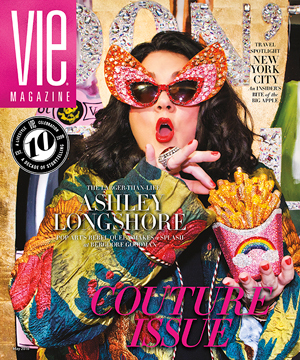 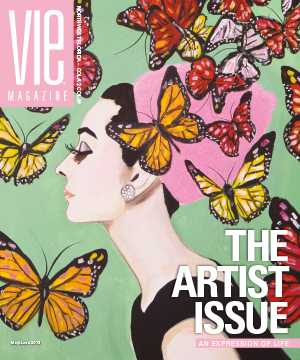 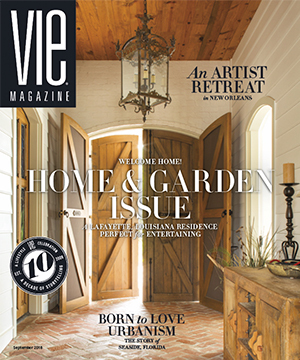 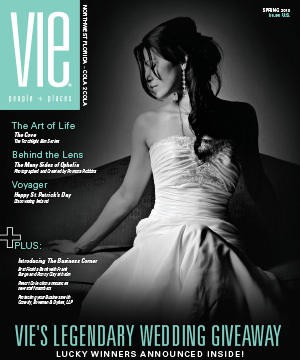 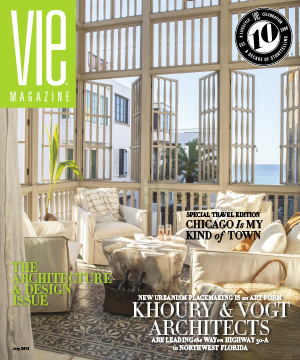 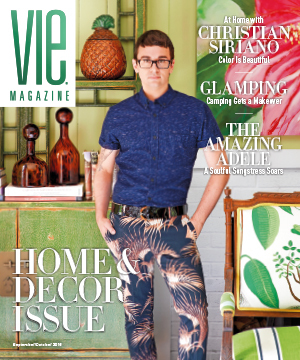 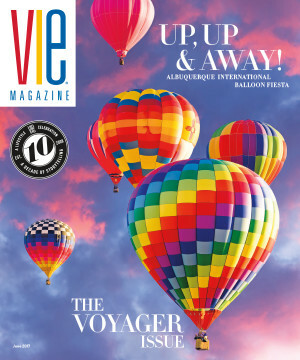 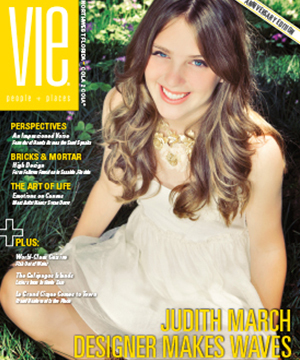 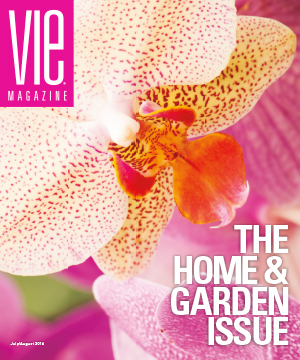 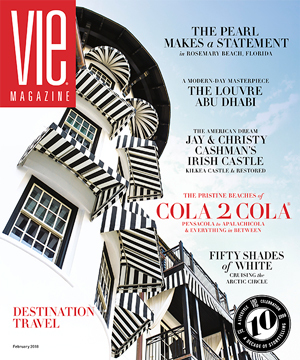 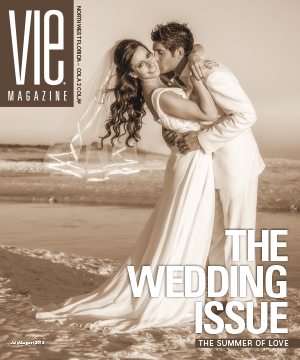 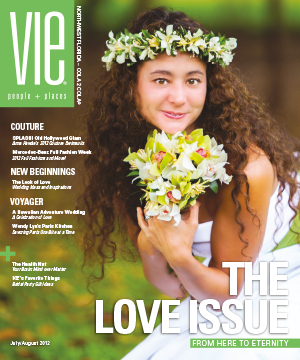 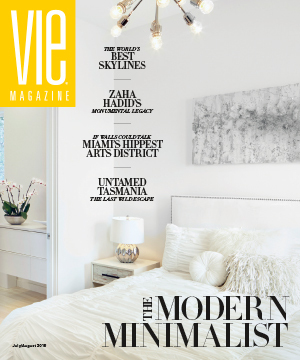 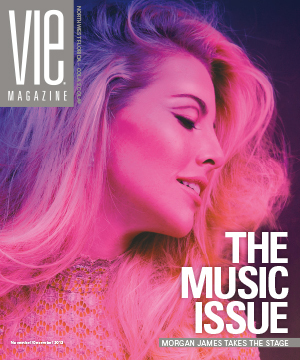 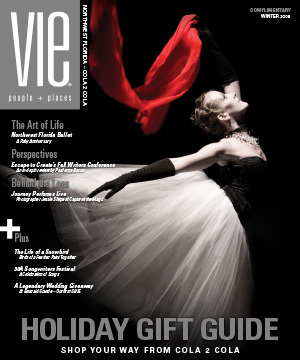 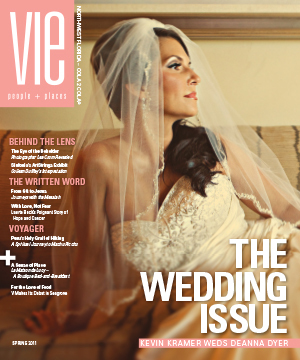 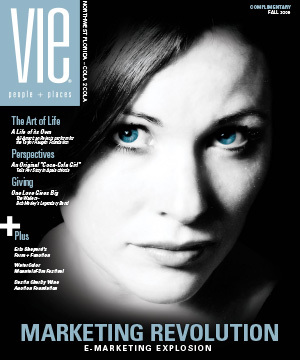 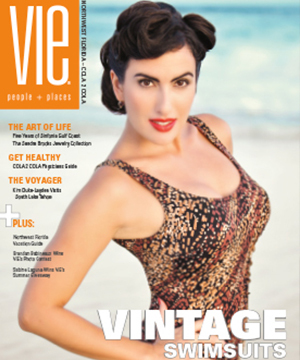 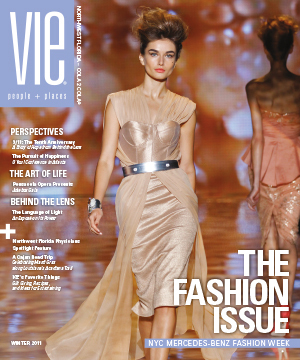 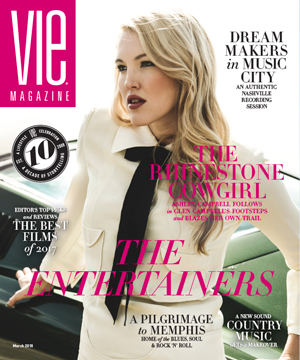 We hope you enjoyed our labor of love with this deliciously stylish issue of VIE. 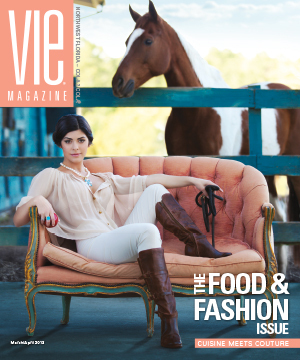 With royal flair, South Walton Fashion Week 2015 Sheila Goode Model of the Year Award winner Miranda Abney lounges on an antique sofa at the New Orleans Auction Galleries warehouse. 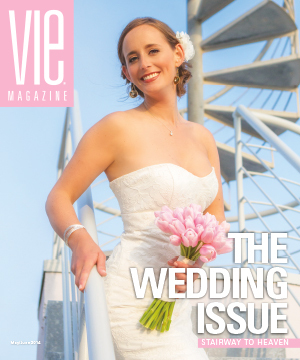 She is surrounded by beautiful decor, floral arrangements by Candace Abuvala of Roux 30a, and delicious treats prepared by NOLA bakeries Sucré and Swiss Confectionery. 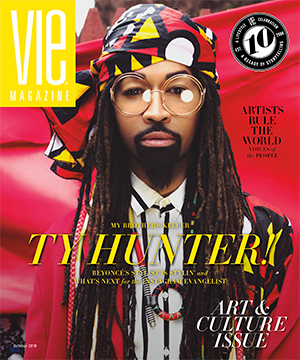 The cover photo shoot, celebrating Abney and her fellow SWFW 2015 winners, designer Tieler James and male model Xinbang “Simba” Tang, took place on a dreary February morning, but the mood inside the gallery was upbeat and nothing short of regal. Photographer Romona Robbins beautifully captured the Marie Antoinette–inspired vibe as Abney donned gown after gorgeous gown created by James, along with custom jewelry creations from Adorn by Samouce. 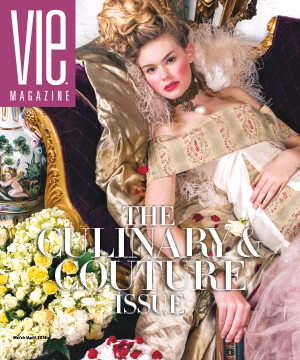 Makeup by Yvette Nation and hairstyling by Brooke Miller completed the oh-so-eighteenth-century vision. 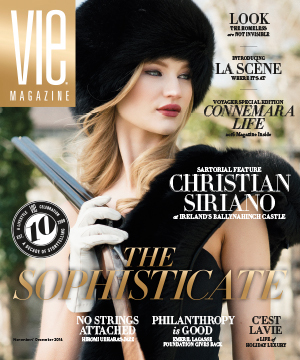 Merci beaucoup to all who made this photo shoot extraordinary!